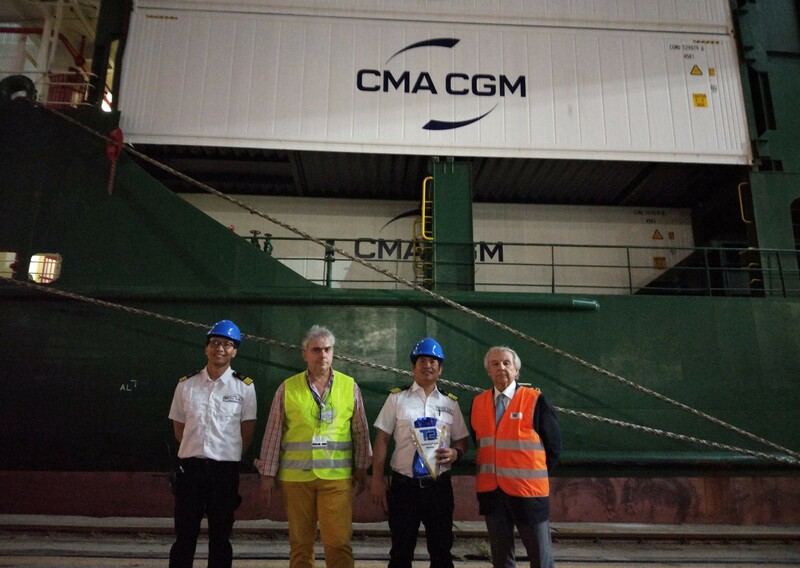 Present Giannantonio Mingozzi – TCR President – and Flavio Cirri - ASA Maritime Agency - to welcome Capt. Mella Halem and First Officer Plomillo Reynaldo at the terminal. Contship Ravenna is actively committed to upgrading loading and unloading procedures, and is currently investing in new infrastructure and technology – actions which are currently making the port very competitive. The increasing intermodal connections with the group hub in Melzo, (currently three per week run by Hannibal added to the existing connections with Dinazzano), give the terminal streamlined national and international connections. In the next days, another two ships owned by the French company and operating on the same route, will call Ravenna’s port – the “Contship Max” and the “AS Laetitia”.